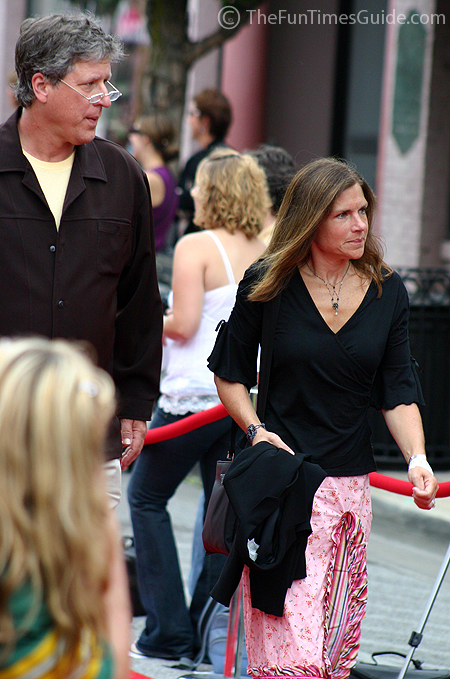 The premiere of the movie “Elizabethtown” took place last night here in Franklin, Tennessee. Surprisingly, there was very little pre-show publicity around here about the movie premiere taking place at Franklin Cinema. The tiny town of Franklin has been the site of numerous TV commercials and music videos. This was only the 2nd Hollywood movie premiere to take place at Franklin Cinema. 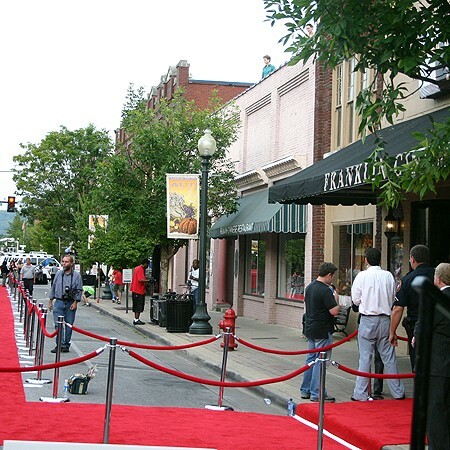 Franklin Cinema has only hosted 2 Hollywood movie premieres in its day: “Friday Night Lights” on October 4, 2004 starring Tim McGraw and Billy Bob Thornton and “Elizabethtown” on September 18, 2005 starring Orlando Bloom and Kirsten Dunst. We were front and center for both! UPDATE: The Franklin Cinema is closed for renovation. ANOTHER UPDATE: Franklin Cinema reopened 4-1/2 years later as Franklin Theatre. 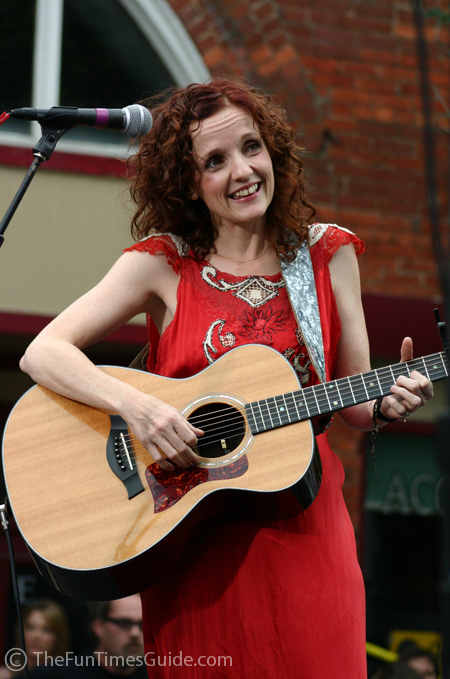 Patty Griffin (a classic singer/songwriter from Austin, Texas). Each group performed one song that was also featured on the “Elizabethtown” soundtrack. Everything was slated to begin at 4pm, so Jim and I made the decision to get there a little after 2pm. Thankfully, we scored the last good spot that was available. Here’s a tip: If you attend a movie premiere at Franklin Cinema in the future, take along a stepstool! We did, and we got some incredible views of the stars… It put us just high enough above the crowd, eliminating a lot of extraneous heads, waving hands, and elbows. At the “Elizabethtown” movie premiere, we ended up taking over 400 photos! The pre-show activity kicked off with this huge movie tour bus backing up to the stage where I Nine and Patty Griffin were going to perform. Then a second bus was strategically placed on the other end of the Red Carpet. As much as they were used as backdrops for the red carpet event… they were also used to shield the stars from public view. As a result, a handful of really big celebrities were able to sneak into the movie theater unnoticed. At first, Cameron Crowe appeared to be the only one on the bus, but then we witnessed a bunch of “shuffling” and “whisking” of people here & there. It almost seemed as if they would divert everyone’s attention away from “key areas” while stars slyly snuck inside the movie theater. Some examples: Michelle Branch, Ashley Judd…and another “mystery girl” in attendance — see below. Here he is with his wife Nancy Wilson (from the music group, Heart) and taking pictures of the band, I Nine — whom you could tell he was incredibly proud of. Here are our best photos of Nancy Wilson and Cameron Crowe in Franklin, Tennessee. I Nine got the party started. All of the members of this group have such charm and charisma… they made a lot of new fans on this day! Here are our best photos of I Nine in Franklin, TN. Here are our best photos of Patty Griffin. Clint Black made an appearance, but Lisa Hartman-Black was a no-show. Out of all the stars in attendance, Wynonna Judd probably spent the most time signing autographs for her fans. Which is certainly a good thing, but it took her forever to get down the red carpet! Rebecca (“Bekka”) Bramlett knocked the socks off of most guys in attendance. This hottie seemed to have the most fans, gave the most interviews, and had one of the perkiest personalities… and other parts! Hmmmm, Brooks without Dunn… how is that possible? It was on THIS night! Kix Brooks was there, but Ronnie Dunn was nowhere in sight. UPDATE: I stand corrected. 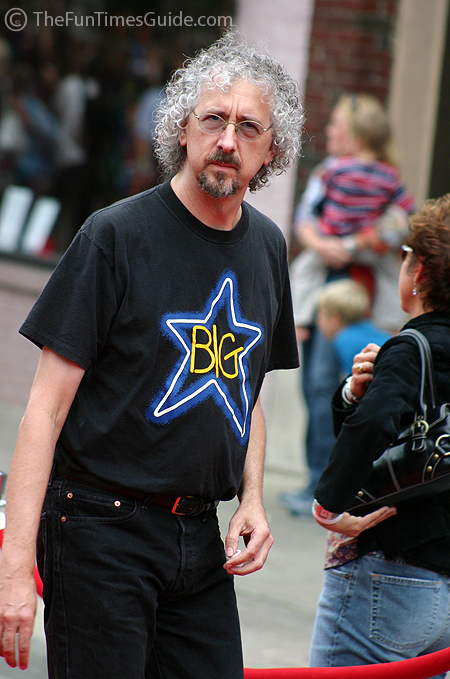 Big Star is a band that I was unfamiliar with until several readers pointed this out to me. Thx. Here are our best photos of Sara Evans in Franklin, TN. Finally… the star of the show and the last to arrive: Orlando Bloom! Co-star, Kirsten Dunst, was not at this Elizabethtown movie premiere. But Orlando Bloom’s mystery woman was: Kate Bosworth! 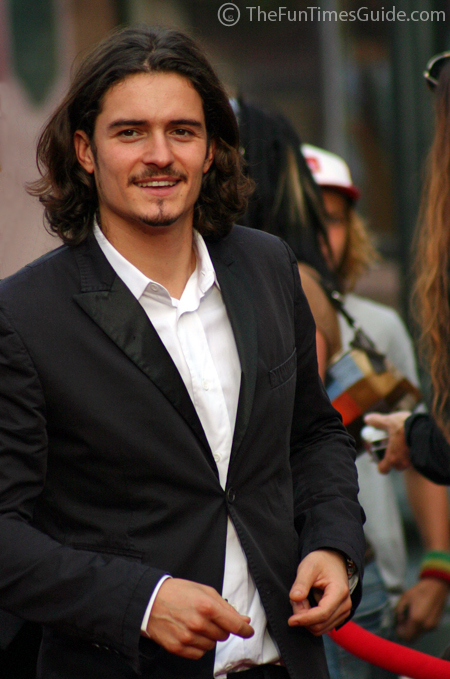 Here are our best photos of Orlando Bloom and Kate Bosworth in Franklin Tennessee. Okay, I’m sure I’m going to kick myself when someone tells me who these people are, but I can’t identify the following “superstars”. They appeared to have some role in the movie Elizabethtown, but I could use your help confirming who these people are. Parked behind the huge movie bus were these limousines and other cars with dark-tinted windows. 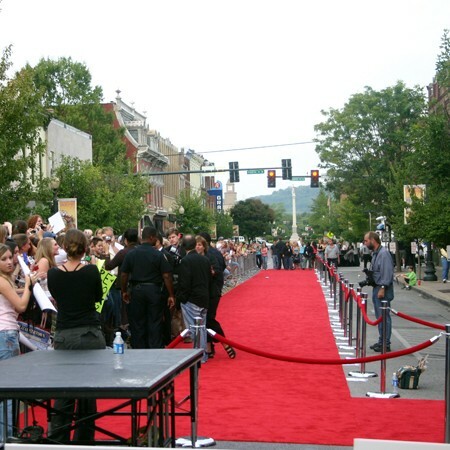 This is the area where some of the movie stars were shuffled in and out of the theater — for the movie premiere of “Elizabethtown” at Franklin Cinema. However, most of the movie stars and music celebs actually took the long walk down the red carpet to enter the movie theater. 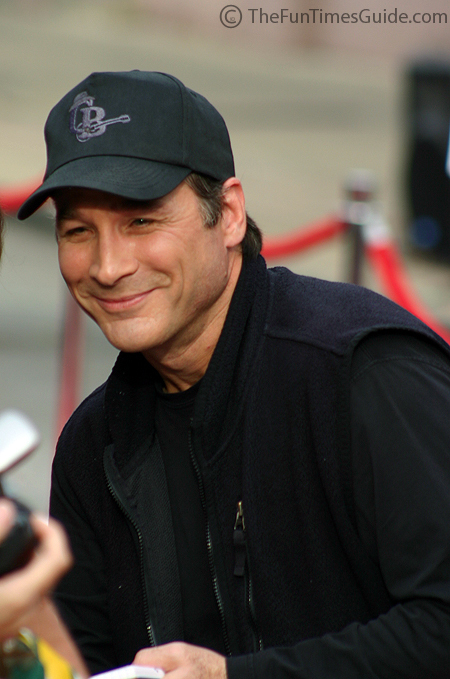 Tom Cruise co-produced the movie Elizabethtown. Cameron Crowe not only directed a lot of great movies (“Jerry Maguire“, “Almost Famous“, among others)… he also shines as a writer! UPDATE: See what Larry Birkhead was doing at the movie premiere in Franklin, Tennessee.